As you may have heard, the House of Ideas’ next major crossover event will come in the form of Infinity Wars, which is set to launch this summer. Boasting headliners such as the Guardians of the Galaxy, Doctor Strange, Thanos and Loki, this limited series is sure to feel both otherworldly and cosmic. From what we understand, the epic will kick off in July with Infinity Wars: Prime #1 by Gerry Duggan, Mike Deodato Jr. and Frank Martin, with the same creative team continuing the journey soon afterward with Infinity Wars proper. Truth be told, we recommend that you begin your reading experience with the prelude book, lest you miss out on any important details. So, now that the series’ launch is somewhat within reaching distance, Marvel has opted to offer some teasers as we continue to count down the days. 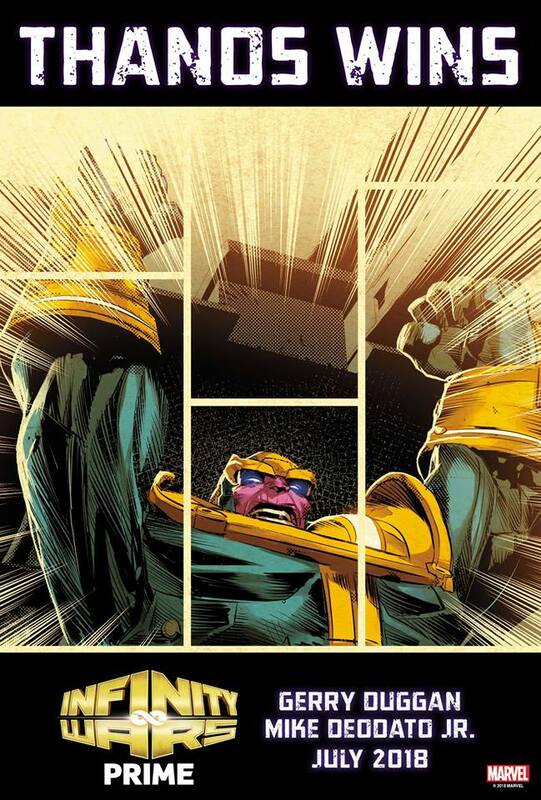 Naturally, the first is for Infinity Wars: Prime #1 and bears the ominous tagline of “Thanos Wins.” Though we’re certain that this’ll be remarkably different from the ending witnessed in Avengers: Infinity War, we’re well aware of how readers will find the premise all too similar. Plus, there have already been complaints on social media saying that this is merely yet another reactionary event, effectively capitalizing on whatever’s going on in the films, much like Civil War II. But, if you’re looking for something fresher and more mysterious, we implore you to take a gander at the second piece of artwork in the gallery. 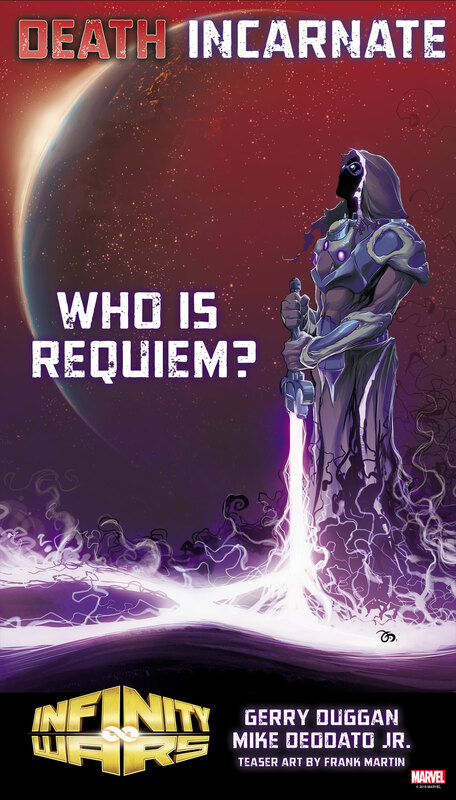 As you can see, it teases an enigmatic character named Requiem, whom we can only assume is “Death Incarnate.” And knowing how Thanos fixates on death, we imagine that those two are on an unavoidable collision course. Tell us, will you be picking up Infinity Wars when it hits shelves this July? Sound off in the usual place below!